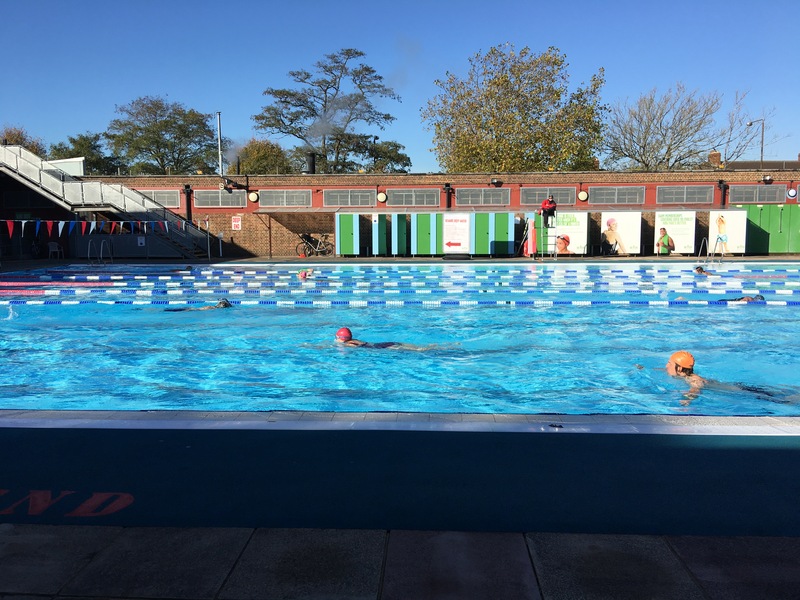 Charlton Lido has announced its pool opening hours for Spring 2019, which come into effect today. The announcement was made via Instagram and Twitter posts and, at the time of writing, the new times were not reflected in the centre’s online timetable. The latter has not shown accurate opening times for much of this year (you’ll struggle, for example, to find any info on the excellent Swim Doctor sessions which run several times a week). The Charlton Champion hopes that GLL/Better will provide the centre with a fit-for-purpose website in the near future. The lido’s first customer forum event saw 20+ members gathered to meet management and staff from the centre. You can read their write up here. One of the main themes that emerged (that’s rather downplayed in the write-up) is the lack of communication from the lido to members: a show of hands suggested that only two of the attendees had received an email from GLL this year. Clearly this isn’t helping engagement and visitor numbers. GLL have advised that members who want to receive emails should contact the lido reception to ensure that they’re set up correctly on their system. If you’re a member, you should have received a customer survey by email earlier this month – if you’ve not, contact the lido. The next customer forum is to be scheduled before the end of this year (possibly because they’ll want to break the news of further reductions in pool opening hours); disappointingly they want to limit attendance to 15 members maximum. There will be a Halloween-themed late swimming event on October 31st – hopefully the first of many regular themed events mooted at the Customer Forum. We’ve wondered for a while why Charlton Lido doesn’t have its own Twitter feed, but learned this week that individual Better centres “aren’t allowed” their own Twitter feeds (rather surprising for any business in 2014, we think, never mind one that’s trying to attract new members…). It seems, though, that some enterprising soul has started an unofficial feed. Given recent criticisms of the Lido’s communications, it’s tempting to think that anything must be an improvement on the way things have been done since it reopened. You can follow them here: https://twitter.com/charltonlido/. Let’s hope that GLL see sense and start an official feed soon. UPDATE OCTOBER 2nd The times below have since been further amended, with the pool remaining open on Fridays, and closing on Thursdays; the cafe will also close on Tuesdays and Thursdays. See the lido website for details. 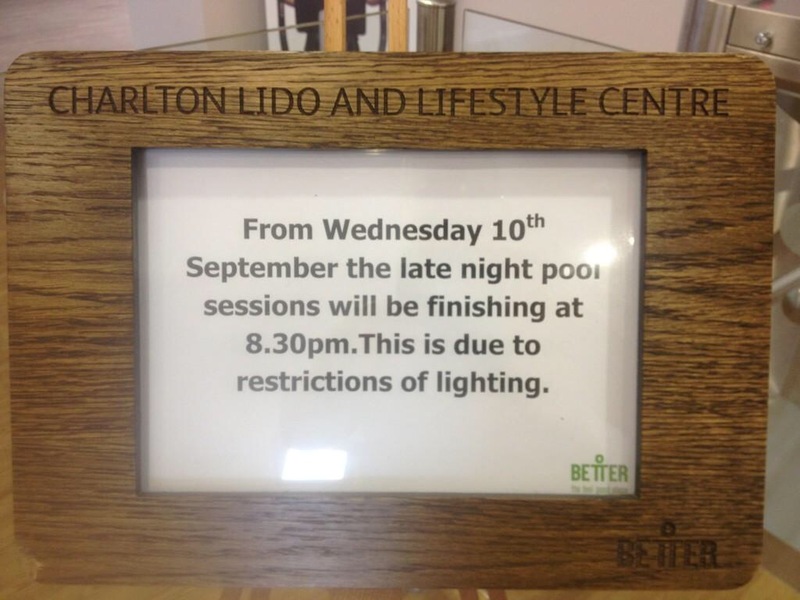 Additionally, from this week the pool will close at 8.30pm, rather than 9.30pm, on Wednesdays. 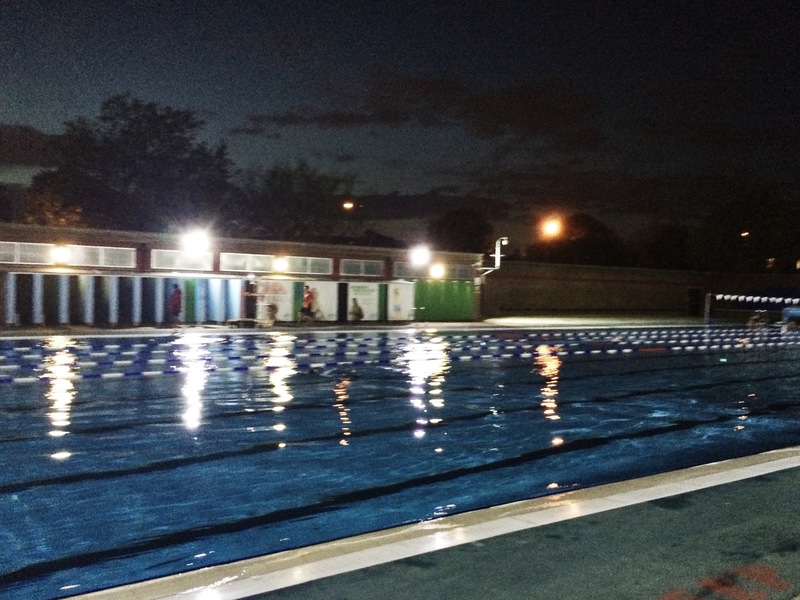 Meanwhile, London Fields Lido (also operated by GLL) looks to be maintaining its standard opening hours year-round, while also benefiting from investment in floodlights and underwater lighting to improve evening swimming. There’s a Customer Forum taking place at Charlton Lido on 16th September to discuss the opening hours and other issues, with the centre’s management. We’re told invites have gone out to Lido members by email, and that the event has been advertised in the reception area. This particular member didn’t receive the email, and a number of readers have reported the same, so – if you are a member – it may be worth checking that you haven’t opted out (or been opted out of) email communications from GLL. If you can’t make the meeting, and would like to have a say, we suggest emailing charltonlido@gll.org with your feedback in advance (and let us know what you think in the comments box below!). 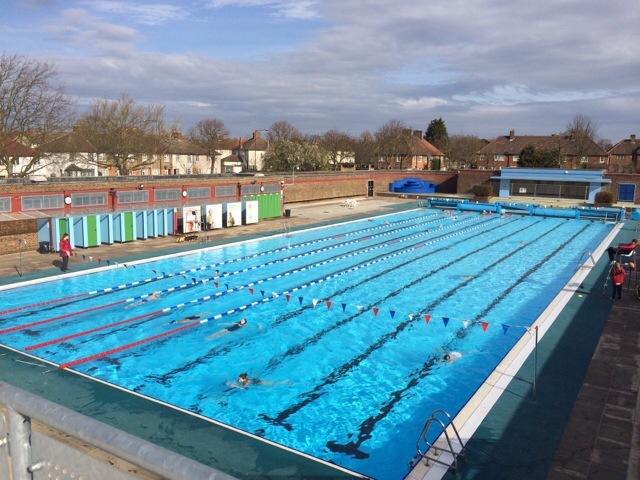 Charlton Lido – South East London’s only heated, outdoor 50m pool – resumes weekday opening from today. The pool (and ‘sun terrace’ – from which the photo above was taken) has been open on weekends through March, while the new gym facilities opened in early February. The cafe is expected to open around Easter. Check GLL’s website for the latest opening hours. GLL announced today that the refurbished Charlton Lido will be called ‘Charlton Lido and Lifestyle Club’, dropping plans to rename it as ‘Royal Greenwich Lido’. The ‘Lifestyle Club’ addition to the name refers to the gym and cafe facilities due to open in January 2014. A common theme that came through in your feedback was the important place that the Lido has within the local Charlton community as well as its historical significance. We have invested over £5 million so far refurbishing and extending the facilities and are committed to securing the Lido’s future as a local landmark and community facility for years to come. In response to your comments the name we have chosen, Charlton Lido and Lifestyle Club, recognises the historical and community aspects of the Lido while incorporating the exciting developments to come. The new gym facilities will launch in mid January, with the pool re-opening in Spring. We will be holding a series of open weekends in late January to give everyone the opportunity to see the new facility first hand. For the latest updates, visit www.better.org.uk/charltonlido or email us. 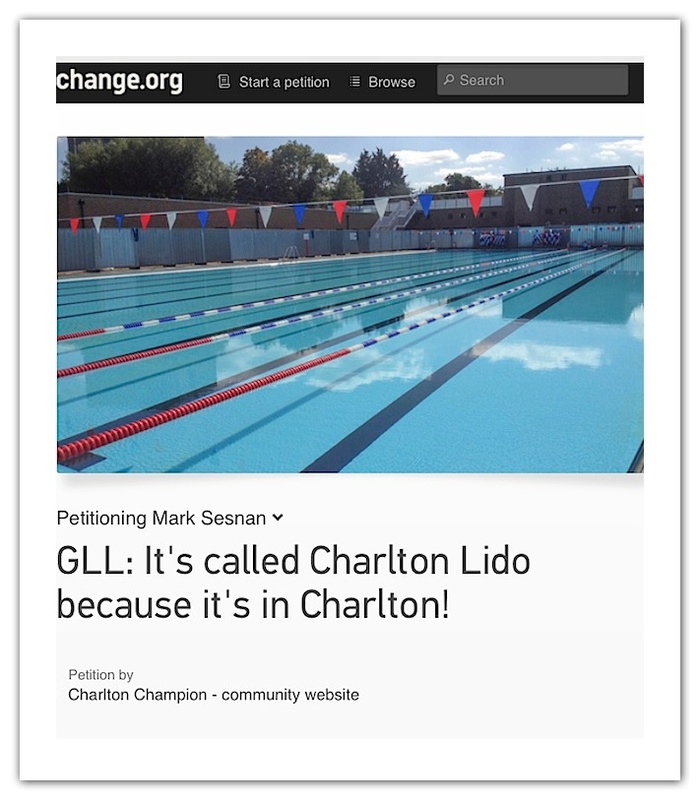 Today’s announcement reflects a victory for the ‘We Call It Charlton Lido’ campaign, set up after GLL started to rename the lido without any local consultation. An online petition gathered nearly 500 signatures, plus support from across the local political parties, and gained considerable coverage from local media. This site would like to thank all those who supported the campaign! PS, the first, informal meeting of the newly-launched Friends Of Charlton Lido takes place at 6.30pm on Monday 25 November, at Brew & Choo cafe (next to Charlton station). Lower-than-expected take-up of membership means Charlton Lido will close for the winter on Sunday November 3rd. In an email to Better Swim members, GLL explains that to-date it only has 144 members, where the equivalent scheme for London Fields Lido has 1,200 members. The lack of revenue from this scheme, plus the expectation that the “dryside” facilities will not start making a financial contribution until into 2014, mean they face “a significant financial problem keeping the pool open through the winter“. Members will have the choice of suspending their membership until the pool reopens, or keeping it running for the other pools run by GLL. The email lays out some of the costs of running the lido (£200-£500 a day to heat the pool in winter; 1000+ members required to make winter opening viable), and stresses the investment GLL has in making it a success: “We are hopeful that with the whole new complex ‘Royal Greenwich Lido, Charlton’ [sic] up and running next year we will be able to attract the necessary numbers to stay open all year round. GLL will have invested £4m of our money and £1m of Partners money by the time the scheme is finished, so we do need to make it work!”. 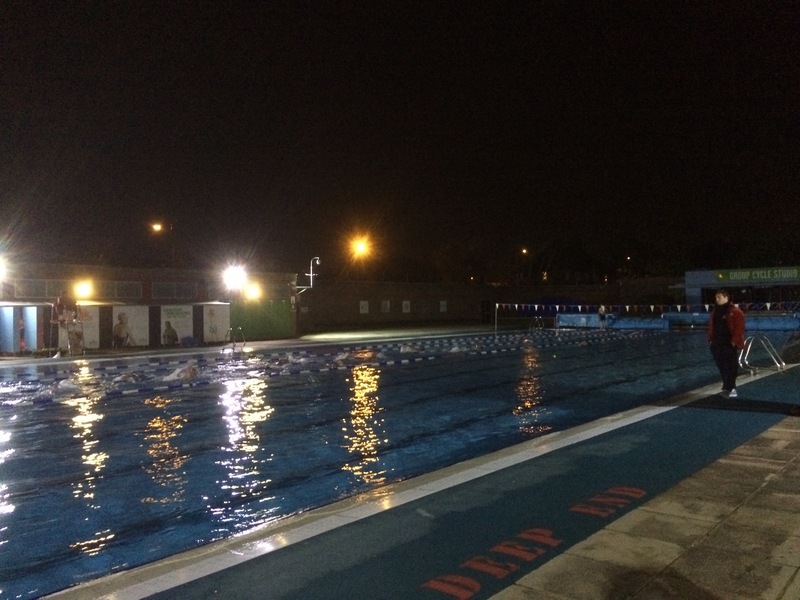 (As an aside, if you’ve not had your say on the renaming of the lido yet, you can vote here). While the lido has clearly been much busier this year than last (thanks, presumably, to the improved weather, plus increased awareness of the pool), it would be interesting to know why take up of the membership has been so low. Are you a member? Have you considered it but decided against? Let us know why in the comments below. (2nd aside: the lido is now closing at 7pm on weekdays, rather than 8pm as it was through July and August).